“Perception underpins everything that we feel, think and believe“, says Dr. Beau Lotto, one of the Guest Speakers at Color Marketing Group®’s 2018 International Summit this November in Philadelphia. We have an exciting line up of world-renowned artists and speakers at this year’s event to build your knowledge and inspire you to new heights. As a color professional we invite you to join us as we share our color directions for 2020 and beyond. We recently revealed the 2019+ World Color Forecast™ during our 2017 International Summit. At the 2018 International Summit we will reveal the 2020+ World Color Forecast™. Every year CMG members analyze thousands of colors, attend numerous ChromaZone® Color Forecasting Workshops and CMG regional Conferences, and travel the globe in search of the next big thing. The result of all this hard work is the famed World Color Forecast™—a look at anticipated color trends from North America, Europe, Asia Pacific, and Latin America. The World Color Forecast™ identifies 16 colors from each region, along with the influences and inspirations that define them, and it provides a wealth of color insight to color design professionals, allowing them the opportunity to focus on the most trending colors for a specific region in a given year. “Perception underpins everything that we feel, think and believe. It is the source of all artistic expression and scientific exploration. What we perceive IS who we are. Perception is the foundation of human experience, but few of us understand why we see what we do, much less how. The Lab of Misfits Studio, founded by Neuro-scientist, Dr Beau Lotto, is the world’s first neuro-design studio and public perception research space. The Lab of Misfits turns the world into a lab as a way of enabling insights for companies and organizations. The lab creates unique real-world ‘experiential-experiments’ that places the public at the center of the process of discovery. By spanning social and personal boundaries between people, brands and institutions, our aim is to create, expand and apply insights into what it is to be a perceiving human. Dr. Beau Lotto is a professor of neuroscience who specializes in the biology and psychology of perception, which is at the core of complexity, well-being and innovation. His work – which has been published in two books, and over 60 papers and reviews in international journals – blurs the boundaries between neuroscience, design, and the arts. The aim of this work is to offer a deeper understanding of what it is to be alive. Dr. 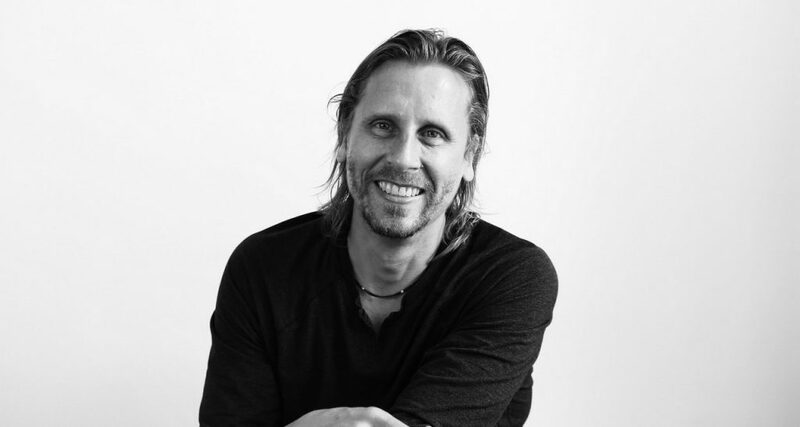 Beau Lotto is the Founder and CEO of Lab of Misfits, the world’s first neuro-design studio. Uncertainty and the brain’s need to resolve it is essential for thinking about not only branding and business, but design, leadership and innovation. Misfits is a team of scientists, designers and producers who discover the essential questions about the nature of uncertainty. Their work provides a deeper, scientific basis for an organisations DNA & Strategy, creates content that expands PR & marketing potential, and strengthens its internal and external relationships. By focusing on how the perceptual brain resolves the fundamental challenge of uncertainty, The Lab of Misfits gives audiences and clients the opportunity to create … and more than this … to embody innovation. Their results inform and transform. They have worked with the Edelman Group and TJ Max, Golin and L’Oreal, and are currently working Cirque du Soleil. Lotto is one of the few speakers to have given two TED talks, which have amassed over 6 million views combined. He has also spoken at Google’s Zeitgest Minds, Wired, G8 and made significant programme contributions to BBC’s Horizon, National Geographic Channel and PBS in the US.